When our son was born, we decided we have a great excuse to skip European winters. 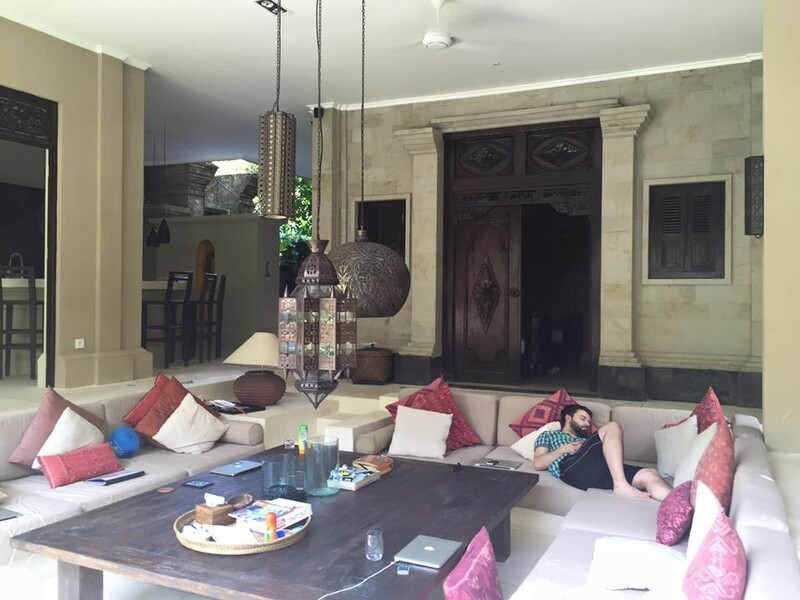 We lived, travelled & worked in California, South East Asia, Florida and Colombia. 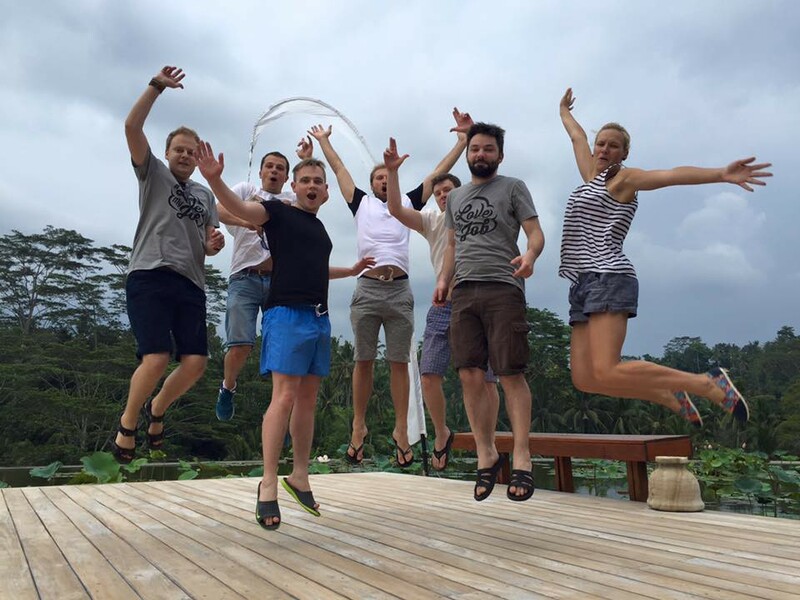 In 2015 we invited the whole MailerLite team to join us in Bali. For two months new group arrived to live and work with us every two weeks. Everyone lived and worked in the same space. Does this sound like fun or a bit terrifying? Could you live in one house with your team for two months? Our 2015 hiring was guided by single question “Could I live with him/her?”. Since we knew that we gonna spend two weeks with all the new colleagues, personality mattered more than skills. Now we are happy to have the best team ever. Best professionals and great people that we are happy to travel and live with. In 2014 a bunch of professors from Stanford Graduate School of Business and from other universities of the West Coast published a study showing that companies with positive employee morale performed better financially over three year period. Want to create a successful long term business? Have a happy team. Sometimes hiring the smartest kid on the block is not the best decision for the happy team. Make a test with your team: ask yourself if you’d like to live in the same house with all of them. 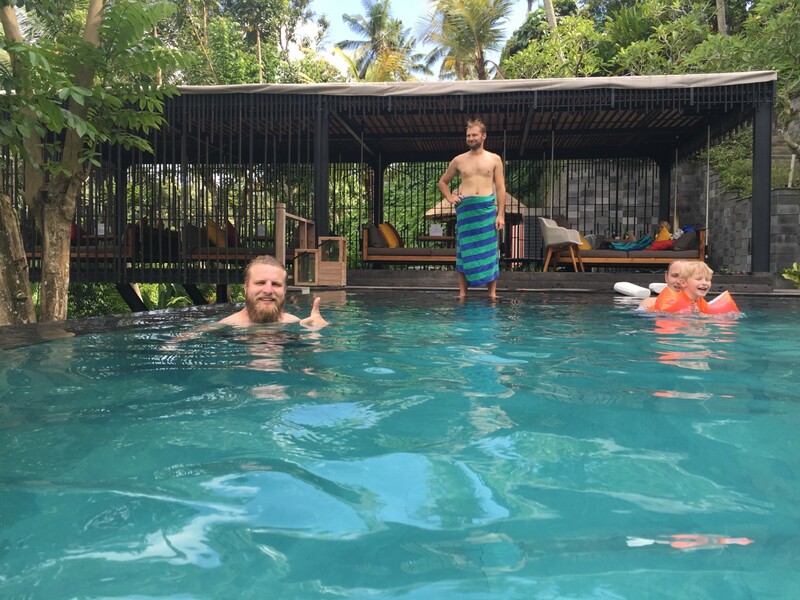 I won’t brag how much has been done during these two months in Bali. Yes, we worked, but it wasn’t the only aim. 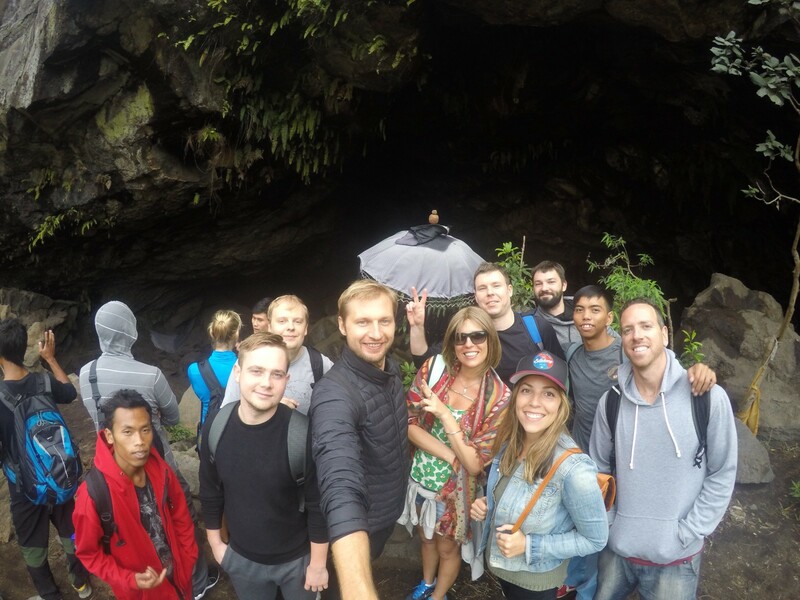 We wanted our team to recharge, explore and have fun. Maintaining a positive work-life balance is an integral part of having employees that are actually excited to start work on Monday morning. A study from BrightHR and leading psychologist Professor Sir Cary Cooper revealed young employees that have fun in the workplace, take less sick leave, work harder and are more productive. We know that with the right combination of culture and motivation, our entire team can be successful brand ambassadors. 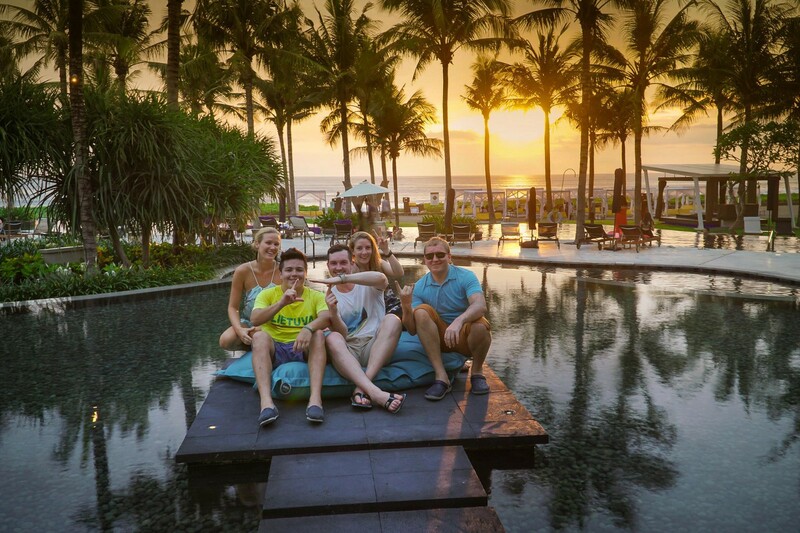 Our team members posted a lot of photos with #mailerlite and #lovemyjob during workation. In most photos they even wore our t-shirt with “Love My Job”. Isn’t it a great advertising? Two months with four different groups was a bit overwhelming. At times I felt like working in a travel agency. 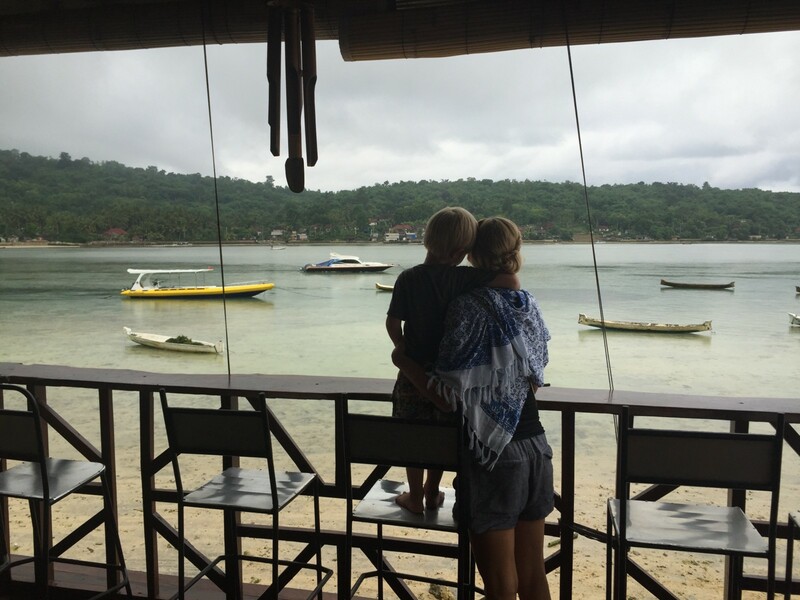 Selecting cafes for lunches and dinners, arranging trips around the island, giving recommendations, celebrating welcomes and goodbyes. On top of that we took care of our 4 year old son Bernard and tried to have some time for us as a couple. Thanks to great kindergarten Pelangi, awesome team and wonderful nanny our son learned English, interacted with incredible diversity of people and saw how business is done. Is there a better global education that one can receive? Will MailerLite offer this experience again? 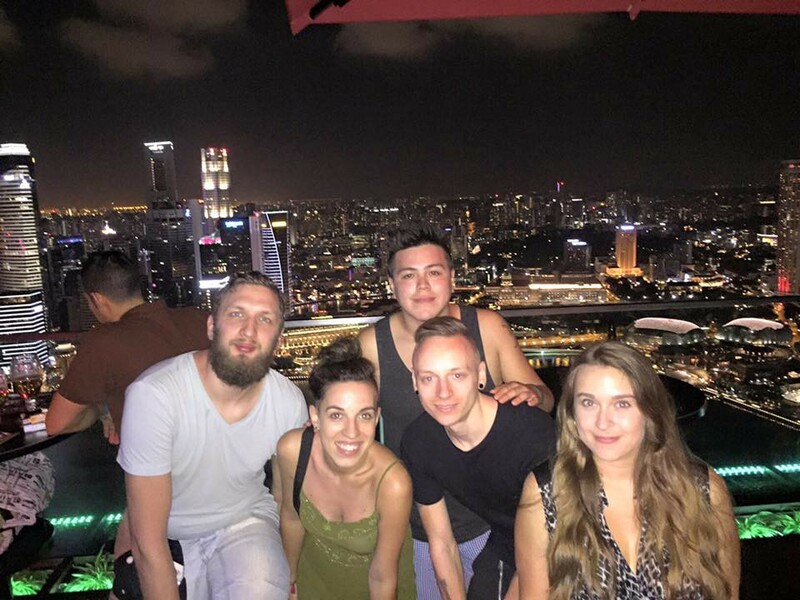 As part of our team works remotely, some people met in person for the first time. Together they rode motorbikes, did yoga, surfed and snorkelled for the first time. These are the stories that will connect them for a long time. We feel way more connected with someone that also climbed a volcano than with people who have the same iPhone, right? P.S. 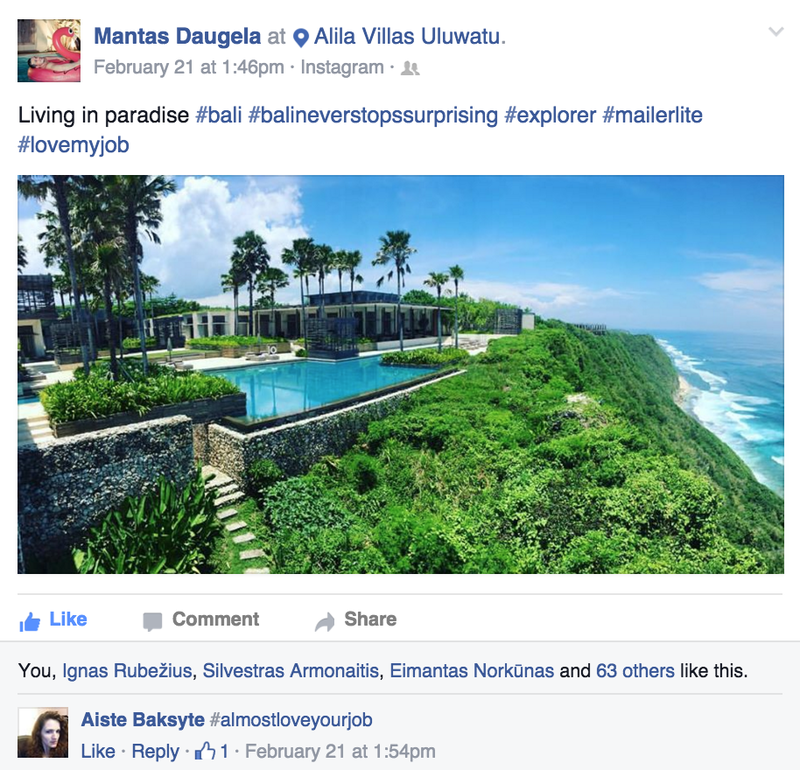 Want to see MailerLite’s behind scenes, follow us on Facebook.